Okay, so the Ascension lies behind the Baptism in the Holy Spirit. But what's it got to do with our Apostolic distinctives? How would they disappear without the Ascension? 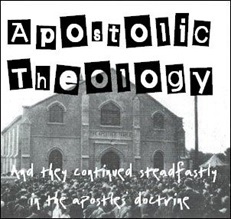 Well, tonight lets just look at one important aspect of Apostolic theology, namely the Headship of Christ. 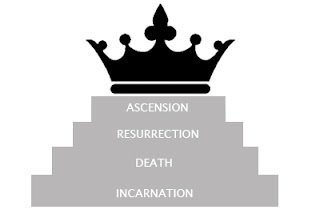 Christ's Headship over His Church is at the very heart of Apostolic theology, and behind this central theological distinctive lies the Ascension. Ephesians 1:19-23 links the Ascension with Christ's Headship. God gave Christ to be 'head over all things to the church, which is his body' (Eph 1:22-23) as a result of the Ascension. If Christ were not ascended, we could not have Him as our Head. And, without the Head, there wouldn't be much of a Body! After all, the Body depends on the Head for its life. As a result of the Ascension God gave Christ as Head of His Church. In fact, that means that we've seen two gifts that God has given as a result of the Ascension: God gave Christ the promise of the Holy Spirit (for Christ to pour out on His Church) and God gave Christ to be Head of the Church. The Ascension led to the giving of Gifts (and in the next installment we'll look at some more of those gifts). Why has everyone forgotten Nadab and Abihu? 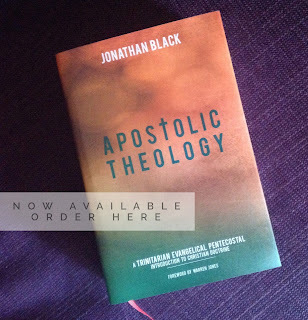 Competition: Win a Theological Book!! !